I’ve been to Martha’s twice: once with Blue Squirrel (my best friend who’s based in Aussie) and the other time to buy cupcakes for Cake Club – and I’ve never been disappointed with (1) their service, and (2) the quality of their food. 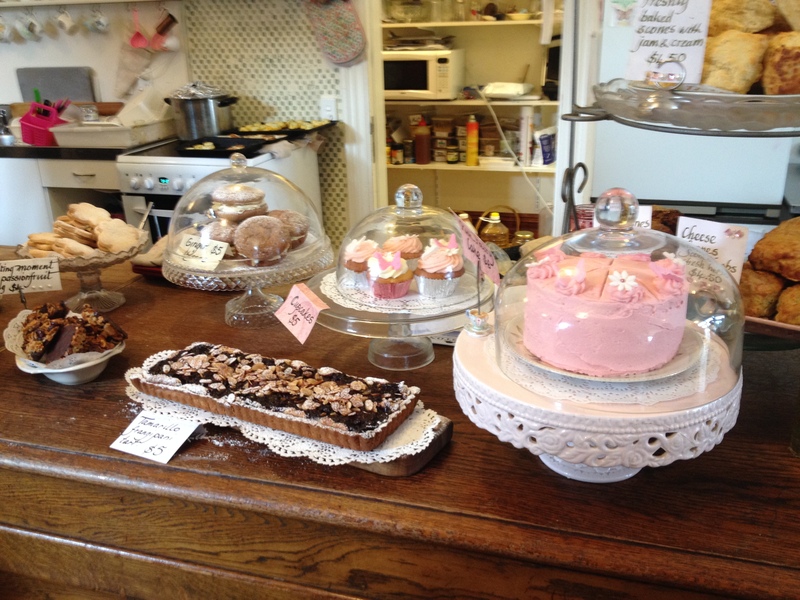 Absolutely YUMMMMMMM …..
As previously mentioned, Martha’s is very very girly. The interior is bathed in muted hues of pink, yellow and purple. The food is displayed in traditional food cases and are served in dainty hand-painted china cups, saucers with vintage cutlery. Even their table napkins (or serviettes) are very feminine! Hats – for high tea! On days when the sun’s out and it’s not too windy, patrons can sit outside and dine al fresco. The outdoor dining area is actually on their parking lot, but the presence of cars do not take anything away from the cafe’s charm. When Blue Squirrel was here in April, we had coffee outdoors so we could enjoy the sun (and then we went to Reading Cinema to watch GI Joe Retaliation) – today, because it was slightly overcast and somewhat windy, we had our hot drinks and munchies indoors. I’ve been meaning to take my mum and my sister to Martha’s but the stars just haven’t aligned properly to make it so! I’m really hoping that one day soon, we could have high tea at Martha’s. By the way, I just noticed that the cup I used in April and the one I used today are one and the same! How’s that for coincidence! I’m glad the teaspoons were different though. I’d totally freak out if even that were the same. Martha’s Pantry is located at the corner of Karo Drive and 276 Cuba Street, Wellington. To book a table for High Tea, call 04-385 7228. Next Next post: Tall Ships!